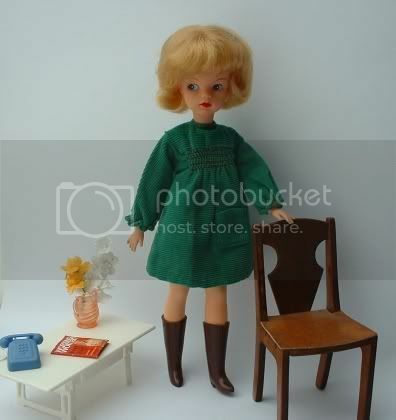 Photos of my vintage Sindy dolls on these pages. Some of these dolls have now been sold on to other collectors. Scroll down for more pics. 1963 Made in England Sindy, wearing 1968 Smock dress. 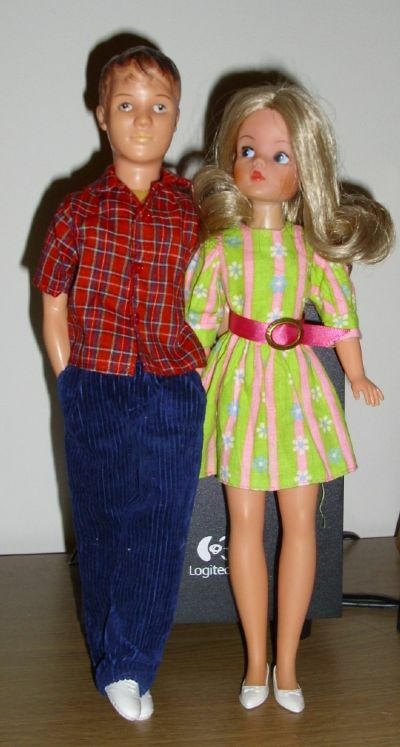 This pic shows Sindy with her boyfriend Paul.